The first goal has been met, with the Company having achieved the ISO 9001:2000 Certification (Certificate No. 15861/1) in 2005 and is now recognized as an ISO 9001 Certified Organization. Signal Power Enterprise (M) Sdn. Bhd. was founded in Kuala Lumpur, Malaysia in May 1989. To serve our customers’ needs better, we extended our sales offices in the northern part of Malaysia with the establishment of Signal Power Enterprise (North) Sdn. Bhd. in Penang at 1999. Over the years, Signal Power Enterprise (M) Sdn. Bhd continues to focus in the telecommunications industry. 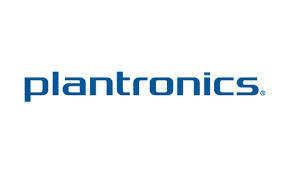 Meanwhile, we are an authorized distributor of quality Plantronics headsets since year 1997. Plantronics is a publicly held company (NYSE: PLT) headquartered in Santa Cruz, California with offices in 20 countries, including major facilities in China, England, Mexico, and the Netherlands. Plantronics products are sold and supported through a worldwide network of Plantronics partners, including resellers, systems integrators, retailers and mobile carriers. Plantronics pioneered the lightweight headset and produces a wide range of headsets for multimedia, gaming and Internet telephony. Its products are used by everyone from pilots, astronauts, and 911 emergency workers to 100% of the Fortune 100. Signal Power Enterprise (M) Sdn. Bhd recognizes the on-going innovative design and technology for smarter communications by Plantronics and is excited to be part of its worldwide network of distributors to deliver high quality headsets to you, our customers.